Estimated number of deaths, in thousands, caused by asthma each year. 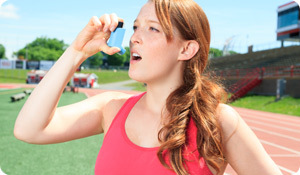 If your child has asthma, be sure to talk to her caregivers, teachers, and coaches about the condition. Make sure they have written copies of your child's asthma action plan, which should include symptoms of an attack as well as details about any medications your child may require.